As I mentioned in the introduction of Maria Geraci’s guest blog on Wednesday, she is an author that surprised me—in a GOOD way. When I read the blurb of the first book of hers I read, Bunco Babes Gone Wild, I figured it would be a cute read. I was right, but it was so much more. It was fun, romantic, and an absolute delight! The same can be said of her latest, A Girl Like You. In fact, it is her best book yet and now my favorite! Emma Frazier is a journalist for Florida!, a popular Florida magazine. She lives in Tampa, loves her job, gets along well with her coworkers, and has great friends. She’s smart, upbeat, and works hard, but knows that with her average looks and size 12 body, she will never be a runway model. And she’s okay with that. What she isn’t okay with is being referred to as the “ugly friend”. Emma overhears an acquaintance say this to her best friend, Torie, who promptly chews out said acquaintance. Emma pretends like she doesn’t hear it to spare anyone embarrassment, but it does hurt. Especially when that very same acquaintance ends up going home with Emma’s boss, Ben...who Emma has had a crush on for months. In an attempt to impress Ben, Emma says that she can get an exclusive interview with famous NASCAR driver Trip Monroe. Emma and Trip grew up in the same small Florida town, Catfish Cove, and graduated high school the same year. Granted, they weren’t the best of friends, but how hard could it be to score an interview with an old classmate? As Emma finds out, it’s a lot harder than she thought. But the determined Emma doesn’t give up. A visit to Catfish Cove stirs up old memories, renewed friendships, and new feelings which eventually lead to a whole lot more. I love this book! It is not your typical romance (after all, there are four possible heroes) and that’s what I love about it. I was constantly surprised and it kept me turning the pages. Plus, I love that it is set in Tampa, where I used to live. So many places were familiar to me. J Ms. Geraci’s writing is sharp and her heroines are smart—not just in the “book smart” way, but also in the decisions they make. Emma knows she’s not the prettiest girl out there, but even when dating a good-looking guy, she is intelligent enough to acknowledge when he isn’t her dream. Instead of being/staying with him because he is attractive and isn’t a jerk, she makes the right decision to break it off...and eventually finds her dream. She is one of those congenial characters that so many women can instantly connect with. And I was completely satisfied with who she ended up with. 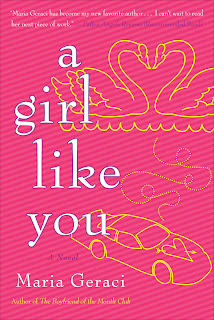 Romance, chick lit, women’s fiction... No matter what you call A Girl Like You, one thing is for certain—it will surely please! I highly recommend it! I love the fact that the heroine is a real woman, with her size 12 and her plain looks. More endearing and heartwarming! Yes, Mina! Because not every heroine needs to be drop dead gorgeous and a size 4! Lovely review, Andrea! I'm so happy that you loved the book:) Once again, thank you to the Romance Dish for inviting me to guest post this week. You guys are the best! Thanks, Maria! I am SO looking forward to your next book! Sound like this is right up my alley, can't wait to read it. Another great review, Andrea! It makes me want to read this book NOW. What a wonderful review! I keep hearing wonderful things about this novel and after reading this, it's definitely on my Wish List! Thank you, Connie! Glad to hear it's on your Wish List. It's not the kind of read I usually pick but I liked your review so I will keep it in mind! Thanks, catslady! I appreciate it. Thanks for another terrific review, Andrea. 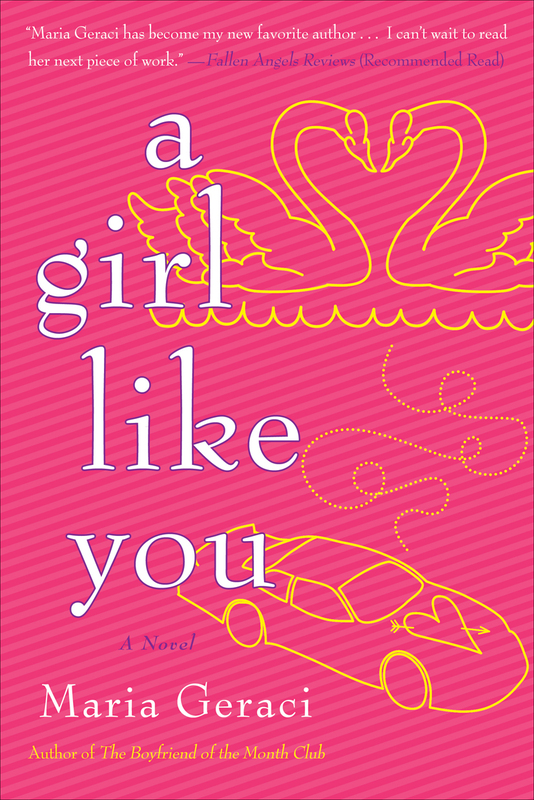 This is definitely the kind of book that many women will be able to read because the female protagonist is someone we all can relate to. I love reading novels where the hero and heroine are perfect physical specimens and there is always a HEA, but those booke are like fantasies or fairy tales and they provide a nice escape. On the other hand, a novel populated with the not so perfect heroine and secondary characters is so much more real and easier to relate to. It's therefore much more appealing to the larger audience of everyday people because we can relate to in so much more. Thanks for pointing out this book and author... sounds like a real page-turner and I'm looking forward to reading it!